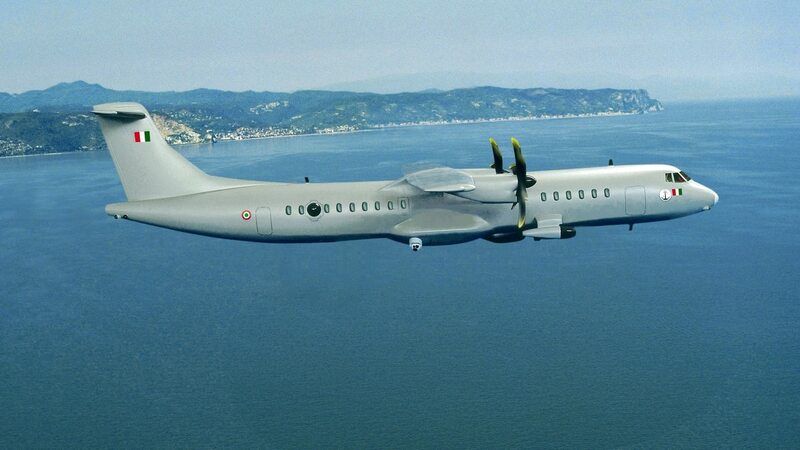 The Italian Air Force has taken delivery of the first two of four ATR 72 maritime patrol aircraft ordered from Leonardo-Finmeccanica, the firm said Tuesday. The aircraft, which were first ordered back in 2008, will replace Italy's aging Atlantique aircraft at a time when mass migrant sailings and regional conflicts have put the Mediterranean Sea back on the map. The final two P-72As, as they have been dubbed by the Italian Air Force, will be delivered by next year, with Leonardo supplying logistics services. The aircraft will be able to carry out 6.5-hour missions up to 200 nautical miles from base, the firm said. which integrates three main sensors: the Star Safire HD electro-optical turret; the Leonardo Seaspray 7300 Active Electronically Scanned Array radar; and a self-protection suite based on Elettronica’s ELT800V2 ESM. Link 16 and electronic intelligence capabilities are also supplied. The ATR 72s will not offer the anti-submarine capabilities offered by the Atlantiques, leaving a capability gap that might be filled if anti-submarine wafare capabilities are added to the aircraft at a later date. As such, the aircraft are fit for four pylons for torpedoes if required. As with the Atlantiques, the Navy will handle tasking orders for missions, while the crews will be mixed Air Force and Navy.